Three different art retreats in Three different locations in Ontario. The Ottawa Valley, Kawartha Highlands Provincial Park and the Killarney/La Cloche region. Keith Thirgood is your instructor for these retreats. Click here for descriptions of the retreats. For more ﻿in﻿formation﻿ and to sign up, click here. 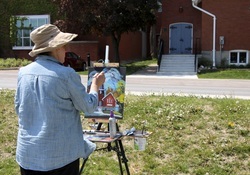 Keith takes small groups plein air painting, guiding you in the art of painting en plein air. These workshops are especially helpful for artists who have never painted plein air before. Both studio artists and beginners can greatly benefit. 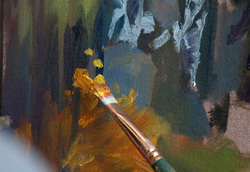 Click here to go to the plein air workshop page.